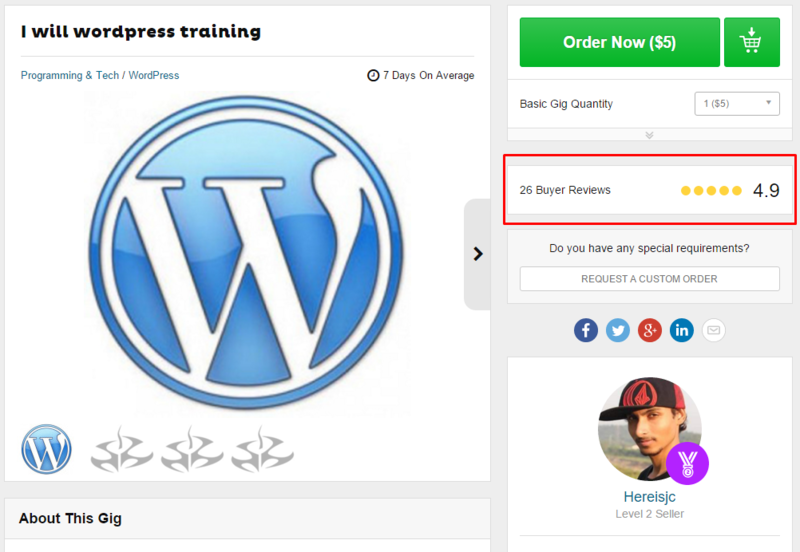 In today’s post I am going to talk about Fiverr and 2 things you can easily sell on Fiverr to make money. Just in case you’re not too sure what Fiverr is: it’s a marketplace where you can buy and sell goods and services (called “gigs”) for as little as $5. It started out as a $5 marketplace but quickly evolved to being more than just $5 services. Now there are ways to make sales of $50, $100 and more using what’s known as “gig extras”. Examples of popular gigs include building a website, writing an article, building backlinks, writing emails, translation, singing, videos, pretty much anything. And the good thing is that right now there are tons of people making well over $10,000 USD every single month on Fiverr. Read below to see how you can get your own slice of these profits. Everyone wants training on something. Maybe it’s presentation skills, website design, coding, how to train your pet. We all want more information. As you can see, this gig has already had 26 reviews. Since only 1 in 5 people leaves a review, it means that it has had at least 120 sales. Best of all? For this kind of gig, all you need to do is create a PDF or a video, and then as soon as someone orders this gig from you, you just send them the PDF. It takes 30 seconds to fulfil the order and you make $5 for 30 seconds of your time. This method is described in a lot more detail in Fiverr Smasher which is a high quality course I bought a couple of days ago. It covers the “Training” gig method in a lot of detail in high quality step by step format. 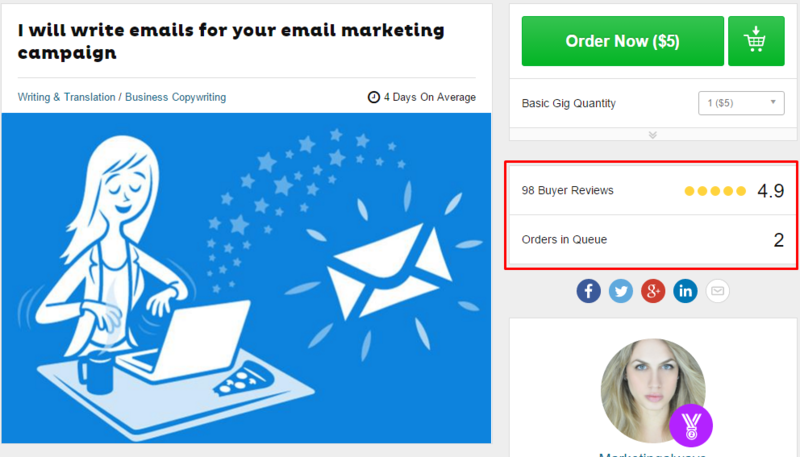 The second thing you can sell on Fiverr is email copy. Marketers need emails for their follow up email series, welcome emails, promotional emails, educational emails. Every marketer needs emails, but every marketer HATES writing emails. This presents us with a great opportunity to profit from it. Since it only takes about 5 minutes to write an email, you can write about 10 short emails in an hour. Which means that if you charge $5 per email, you can make $50 an hour or more. This is just ONE example of a gig which already has 98 Reviews. Only about 20% of people leave reviews, which means that she has sold close to 500 of these services. She also offers “extras” which means that she has made at least $2.5k but most likely close to $5k or $10k including all the extras. Deliver the gig and get paid. 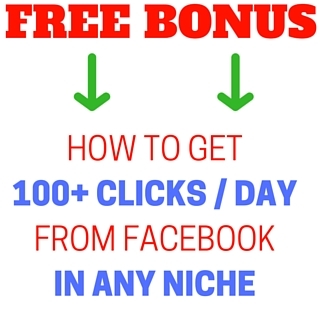 There is much more info about this method here in the 5rr Enigma Course.This truly is a very simple way to get started and earn your first serious money online. I hope you enjoyed this info. As always, if you have any questions or comments, please leave them below. Thanks for reading 🙂 Speak soon. I’m here if you have any questions, I love hearing from you guys. Glad to hear it Theo, thanks for the comment! Thanks Greg! This jogged my memory… I’ve thought about fiverr seriously in the past, just didn’t take much action. I like that email idea! Hi Gabe, thanks for the comment, and good to hear – yes Fiverr is a pretty great method of making money. This is great info. I would love to add it to my collection of gig ideas. Thanks Greg!